We are very excited to share with you this amazing event. 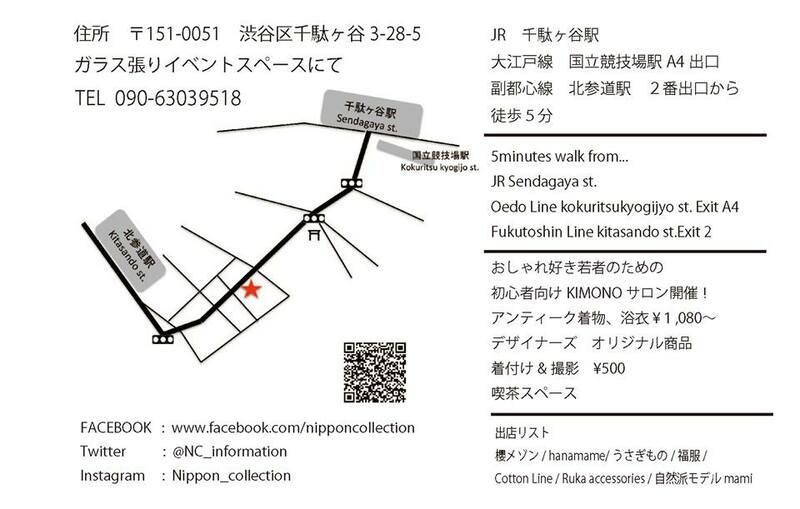 Nippon Collection will be holding their first…. → Cheap but good quality KIMONO and YUKATA (casual type of Kimono for the summer)! → One and only Japanese designer’s accessories! There will be English speaking KIMONO advisers who will help you find the best KIMONO style! You can also chat with everyone over a nice cup of Japanese tea!